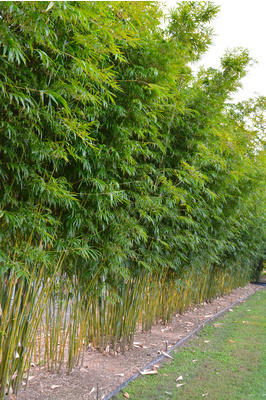 Straight, thin walled and strong. 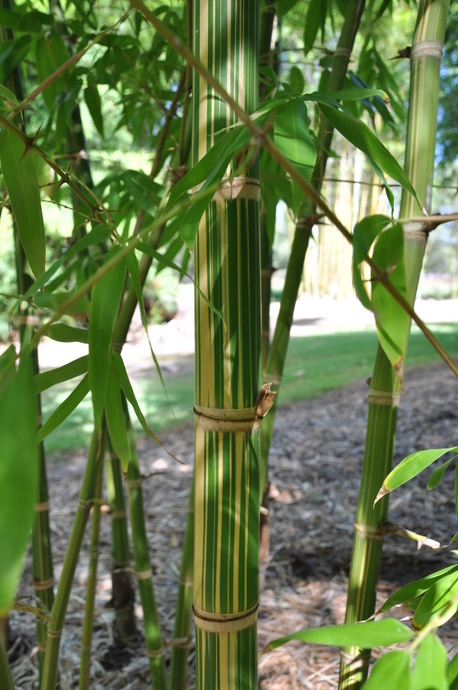 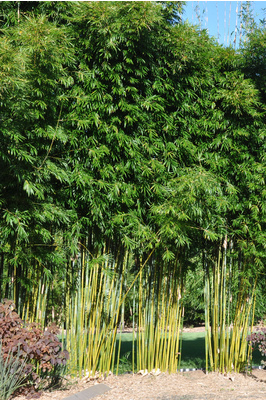 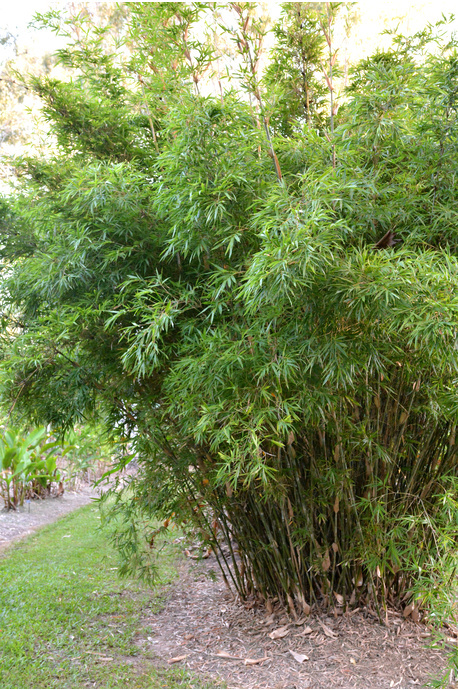 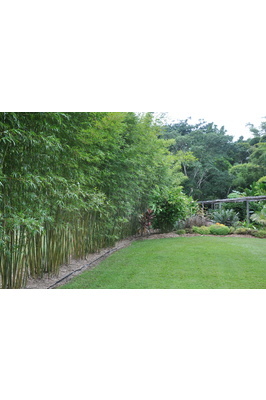 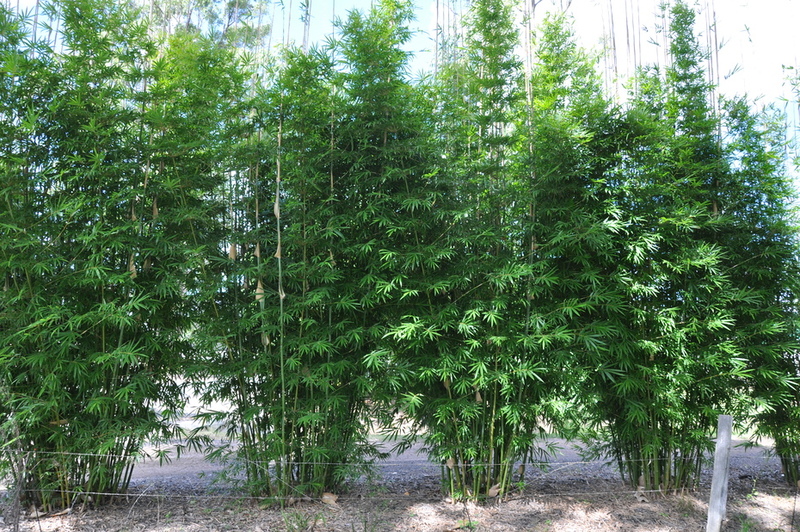 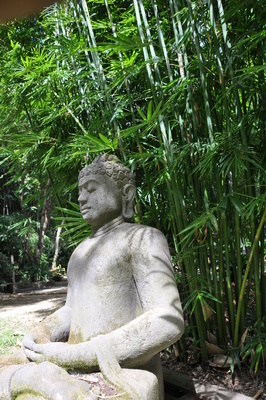 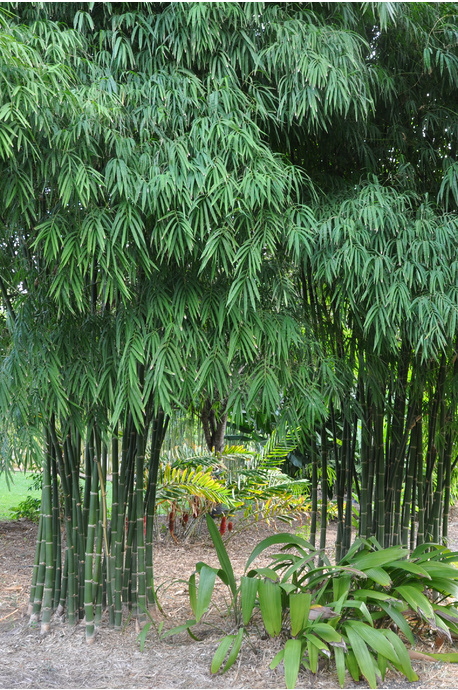 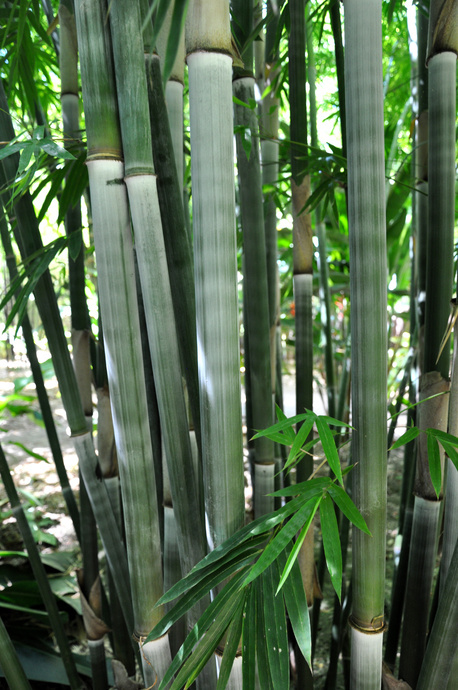 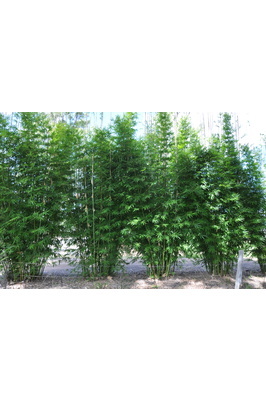 A beautiful straight bamboo which forms an extremely dense clump. 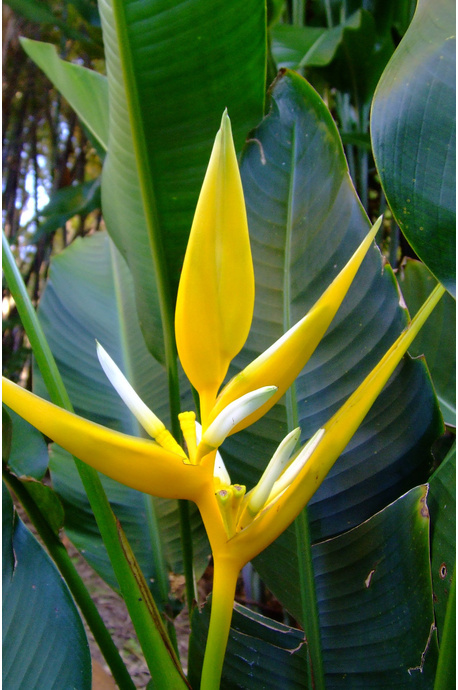 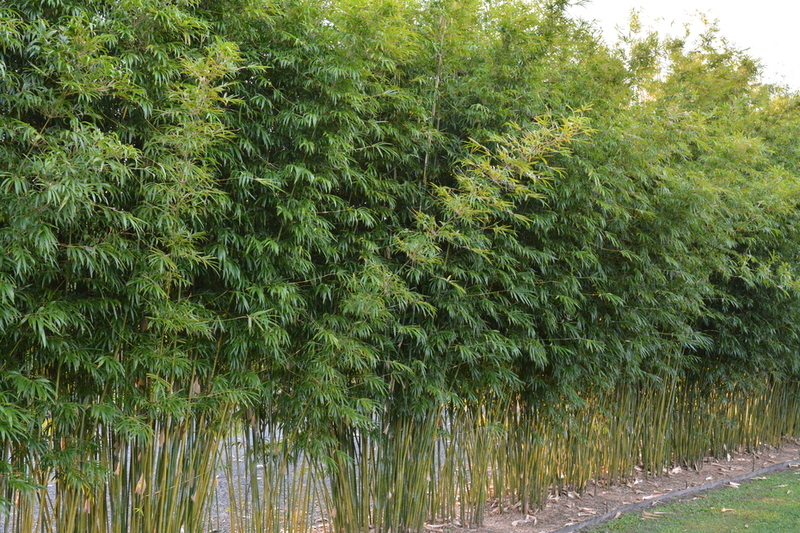 This species is great for privacy screens. 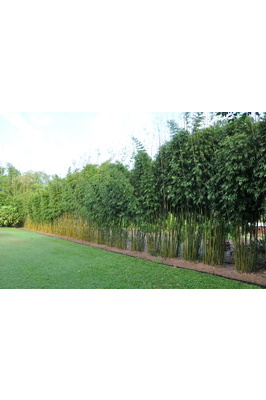 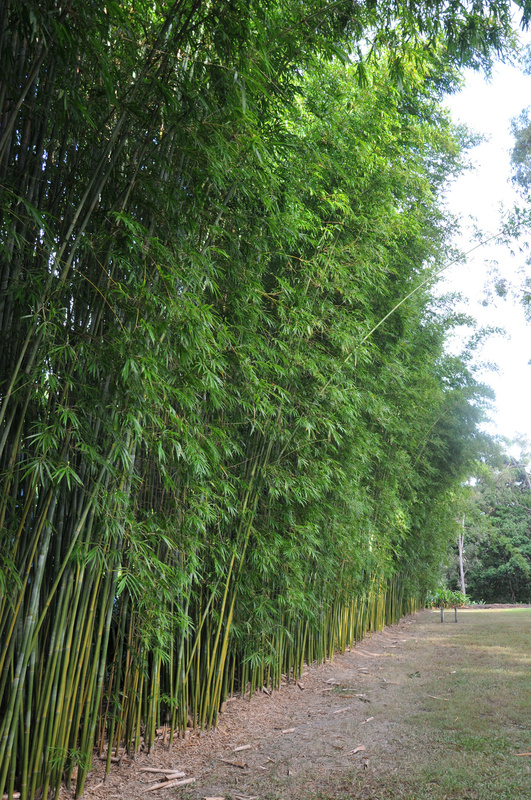 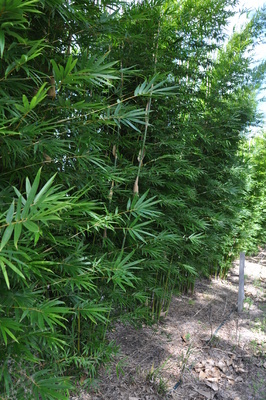 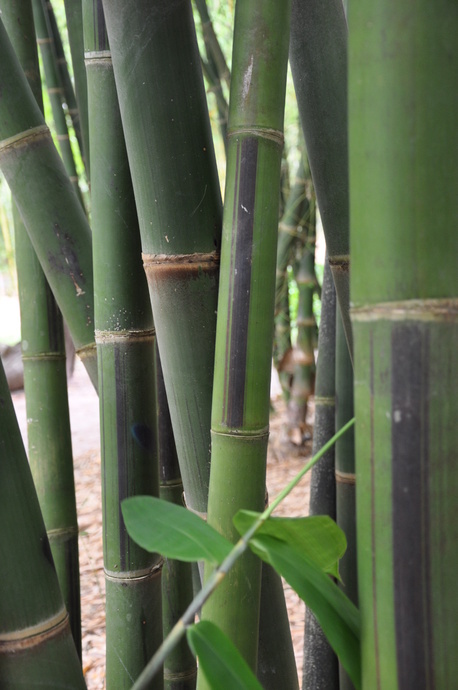 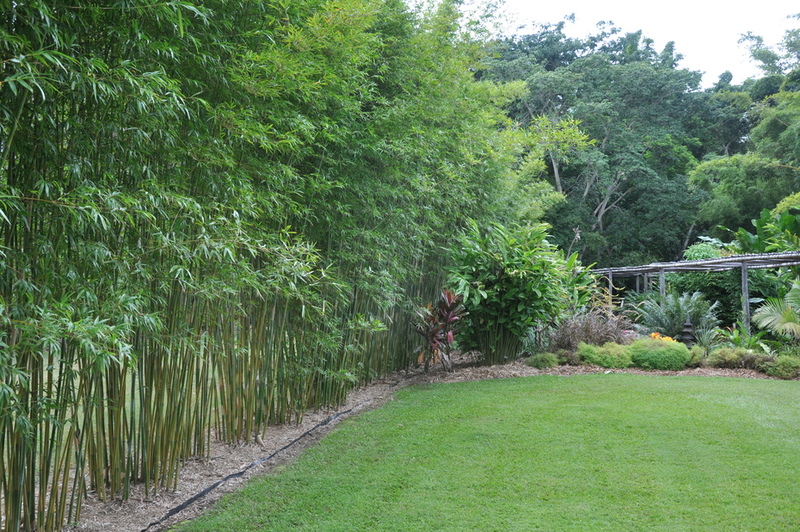 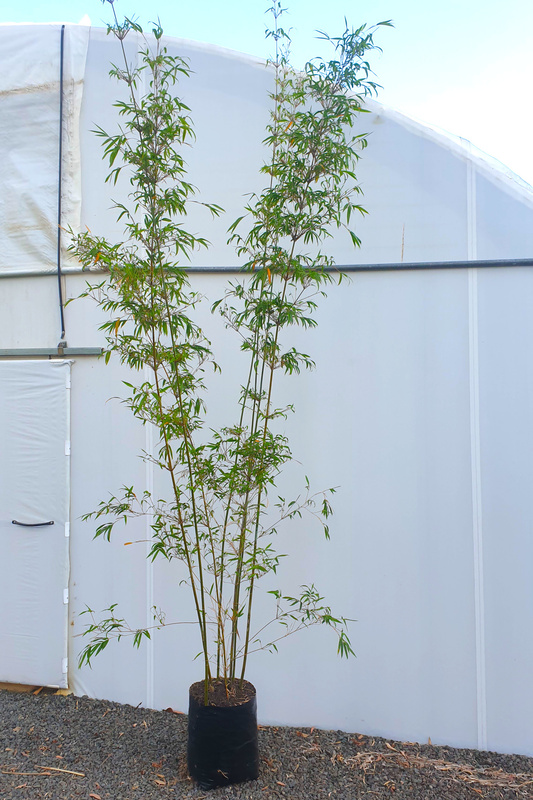 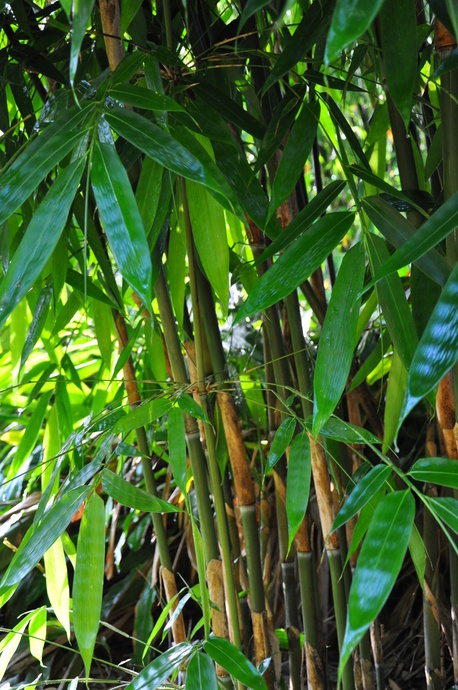 Planted with 1 meter spacing between plants, they will form a continuous and dense 'wall' of bamboo within 3 years. 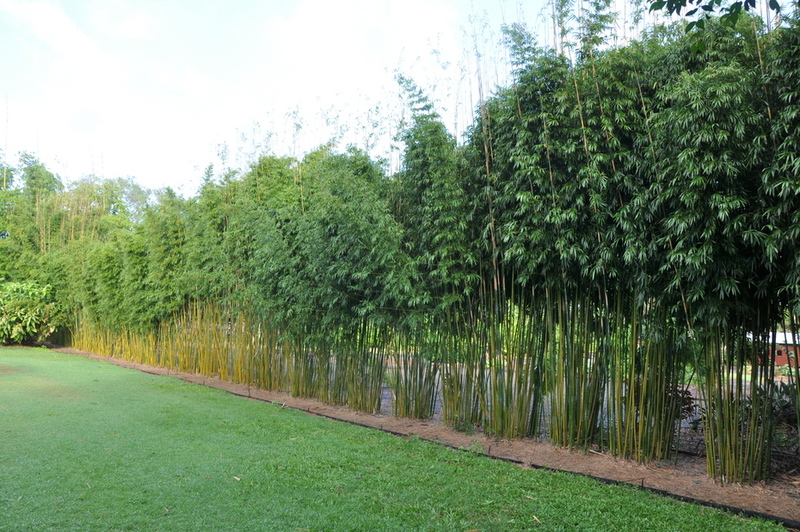 They can be spread out a bit further (say to 1.5 or 2 meters between plants) and still create a great screen, but with distinct individual clumps at the base but with the foliage still creating a complete screen at the tops. 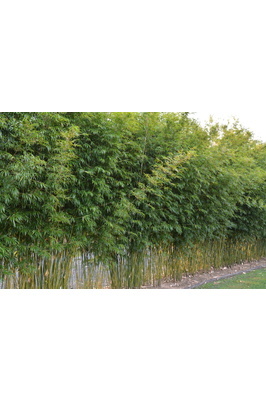 Should be planted at least 0.5m away from fences, unless using a root barrier of some description to stop it from growing under the fence. Its size does vary quite a bit depending on conditions. 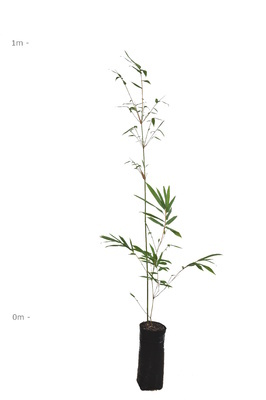 If planted with plenty of space and good soil, it will easily reach 8m. 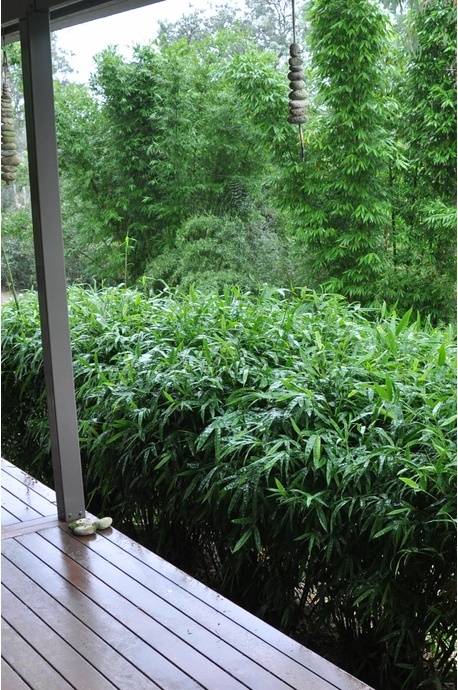 If planted close together (ie. 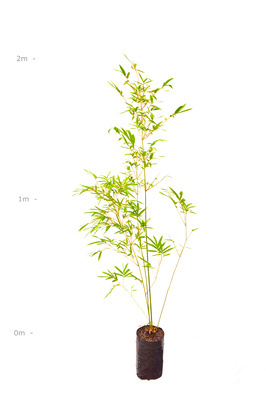 1m apart) or in poorer conditions, then usually only around 6m.